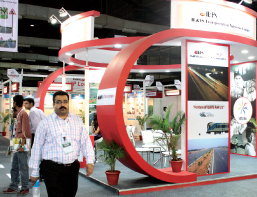 TrafficInfraTech Expo 2012 in Mumbai lived up to the industry’s expectations from it. 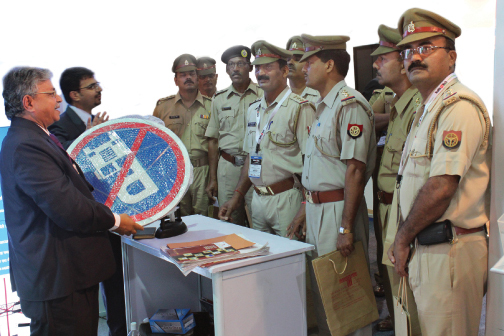 Ministries, government officers from various State Authorities & PWDs, Senior Traffic Police Officers, serious buyers, and many other trade specific visitors kept the exhibitors on their toes. TrafficInfraTech takes you to the scene of action of India’s most looked forward to Traffic Show. 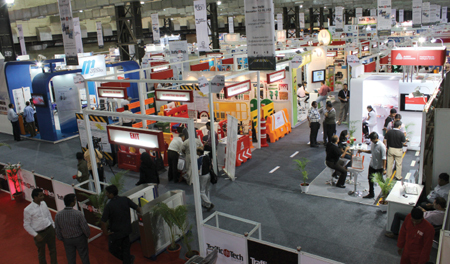 When over 78 exhibitors from India and abroad played host to some of the biggest names in urban development, traffic management, decision making and solution finding in the stream of traffic in Mumbai, it was clear right on day one that Virtual Info System (VIS)’s trade show on traffic, TrafficInfraTech Expo 2012 was successful. No wonder Dr Sudhir Krishna, Secretary, Union Ministry of Urban Development, Government of India observed, “All the exhibitors and stalls that I saw at this Expo, and the technology and the products displayed, are quite in line with considerations of planned transit oriented urban development. The Ministry of Urban Development supports such important events such as TrafficInfraTech Expo, and I complement the organisers for organising this event,” he added. (His full speech is given in this issue after the cover story). 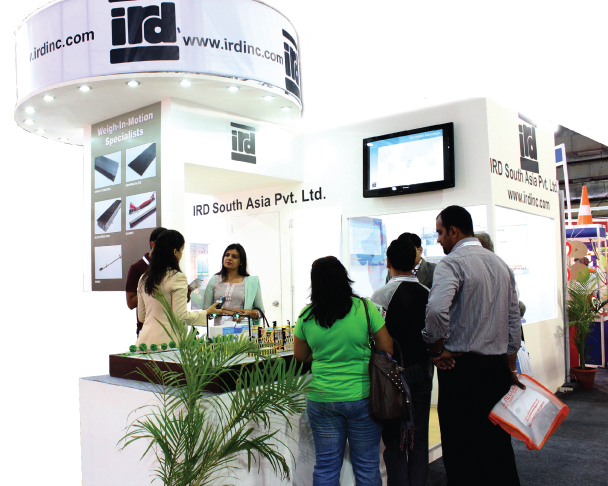 The second edition of India’s three day long integrated traffic show and its three seminars held at Mumbai’s Bombay Exhibition Centre brought in traffic experts from all over the world. The Expo displayed over 120 national and international brands and its seminars took ahead brand TrafficInfraTech Expo which was so effectively introduced last year at New Delhi. 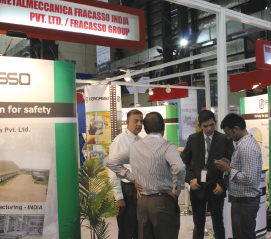 Co- organised by Italy’s Fierabolzano and Afidamp Servizi srl, the VIS show, of which TrafficInfraTech magazine was the knowledge partner, had Gold sponsor in IL&FS and Silver sponsor in IRD South Asia. 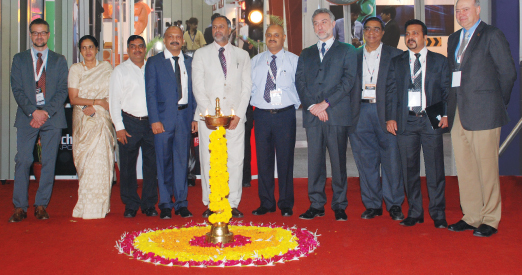 The Expo was inaugurated by Dr Sudhir Krishna. PRK Murthy, Chief, Transportation, MMRDA; Praveen Sood, Additional Director General of Police (CCTNS) and Commissioner, Traffic & Road Safety, Karnataka; Fabio Da Col of Fierabolzano; Toni D’ Andrea from Afidamp Servizi srl; Harish Mathur, Chief Executive, IL&FS Transportation Networks Limited; Terry Bergan, President & CEO, International Road Dynamics Inc also lit the lamp with him. Latest in Technology, Traffic Management Systems, Intelligent Transportation Systems, Parking & Guidance Systems, Road Safety, Security, easy and smart solutions to traffic woes, Road Markings, Street Lighting, Highway Security, Traffic Simulation, Access Control and Toll Management Systems were all on display under the same roof. Sunil Prabhu, Mayor of Mumbai too had extended his good wishes. Rahul Asthana, Metropolitan Commissioner, MMRDA said, “For any country’s progress, the most important component is the adequate traffic infrastructure. With the increase in capacity building, it is also essential to put in place traffic management solutions to provide safe and speedy mobility.” Creating awareness on various traffic related issues was a very important aim of the show. The Ministry of Road Transport & Highways, Ministry of Urban Development, Plannin g Commission, to p management of Public Sector Undertakings, Public Works Departments and Municipal Corporations, and senior Traffic Police Heads from various parts of the country marked the presence of decision making bodies and enforcement agencies at the show. Supporting bodies of the Expo like MMRDA (Mumbai Metropolitan Region Development Authority), MSRDC (Maharashtra State Road Development Corporation), BEST (Brihan-Mumbai Electric Supply & Transport), KSRTC (Karnataka State Road Development Corporation), CRRI (Central Road Research Institute), APSA (Asian Professional Security Association) and FSAI (Fire and Security Association of India) too were very well represented at the Expo. Representatives from infrastructure companies, transport authorities, consulting companies, NGOS and traffic system providing bodies along with town planners came to the Show in big numbers. PRK Murthy, Chief, Transportation Division of MMRDA; Vijayalakshmi, Additional Chief (Head Metro, Monorail and UMMTA), MMRDA; Rizwan Ahmed, Special Director General of Police and Head, Traffic, Lucknow; Vijay Kamble, Additional Director General of Police – Traffic, Maharashtra; Mahendra Jain, Deputy Superintendent of Police, Indore were among them.